Legend goes that Shabari is an elderly woman ascetic in the versions of the Hindu epic Ramayana. According to the stories, she gave a fruit to Lord Rama. CHENNAI: Legend goes that Shabari is an elderly woman ascetic in the versions of the Hindu epic Ramayana. According to the stories, she gave a fruit to Lord Rama. Going one step further in detail, we learn that it was a half bitten fruit. But, this wasn’t mentioned in any of the 127 versions of the epic,” said Dushyanth Sridhar, public speaker and upanyasakar, ahead of his production — Ramayana Sudha, The elixir to divinity. The multi-media dance production is an effort to clear the air around the myths of the epic and the intent is to project it the way it is and relish the scripture. Dushyanth has been curating and conceptualising dance productions since 2014. He will be presenting the latest production as a part of his charitable organisation Desika Daya Trust that works towards the livelihood of priests and conservation of remote temples. The latest project will trace the first half of Ramayana from the birth of Rama till the salvation of Shabari. The performance was curated by dancer Shobana Balachandra, one of the earliest disciples of Dhananjayanas. She has been teaching dance for the past 35 years. Eight students selected from different dance schools will be a part of the performance too. The dance will adhere to Bharatanatyam style with movements of Kathakali, Kuchipudi and Odissi interspersed. 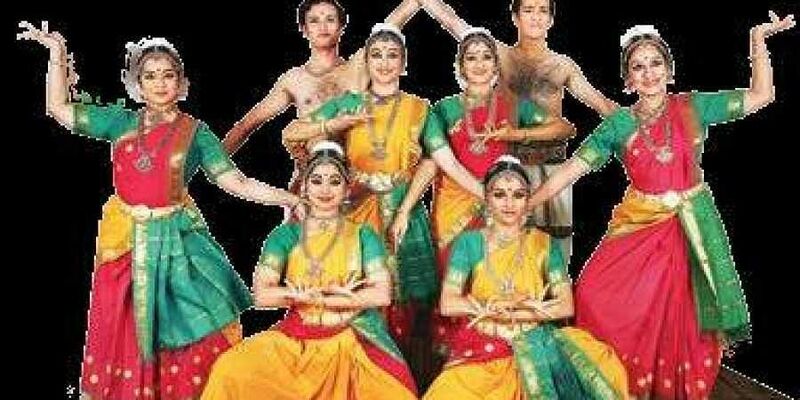 The music is composed by Rajkumar Bharathi, the great-grandson of Mahakavi Bharathi, who is also one of the most sought-after composers for dance production. The sound is mixed by Sai Shravanam. There will be a movie played in the background featuring illustrations of Sai Keshav. “It’s a 140-minute visual treat through dance and music. We’ve deployed the third stake holder — paintings coupled with art. We felt that the aesthetics and colour will register better in the minds of people,” he said. After eighteen months of practice, the dance production premiered in Bengaluru in November 2018. “The Ramayana is taken and scripted from all ancient and traditional works in languages like Telugu, Sanskrit and Prakrit. Earlier, I’d been delivering eight lectures — three hours each in Bengaluru spread across a year. It is available on YouTube for people to understand the epic better before coming to production. It is practically not possible to read the Ramayana in a short span. My narration is in English. The aim is to take the production to different cities and countries,” said Dushyanth.